Explore the mysteries of morality and the concept of right and wrong with this accessible, engaging guide featuring basic facts along with an overview of modern-day issues ranging from business ethics and bioethics to political and social ethics. -Explanations of the major moral philosophies including utilitarianism, deontology, virtue ethics, and eastern philosophers including Avicenna, Buddha, and Confucius. 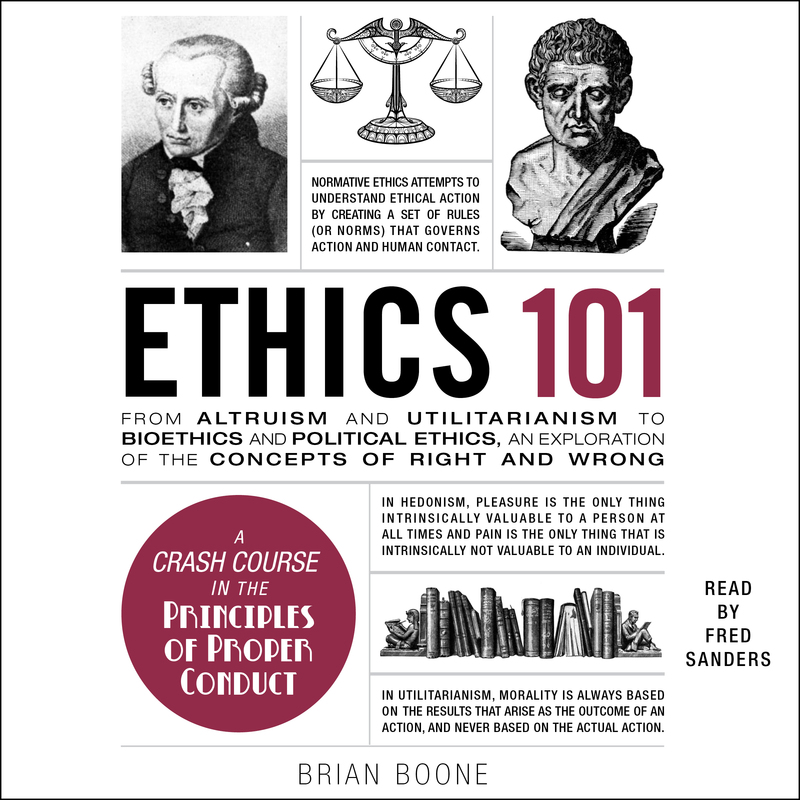 From Plato to Jean-Paul Sartre and utilitarianism to antirealism, Ethics 101 is jam-packed with enlightening information that you can’t get anywhere else!